To be eligible for this promotion, players need to purchase at-least one ticket to the 90 Ball Big Money Room. Players must join the 90 Ball Big Money Room between 7:30 pm and 8:30 pm on Tuesday or Thursday to be able to join this game. 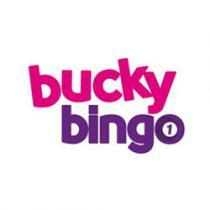 How to Play the Bucky Bingo Spot Prize Chat Game? Log in to your Bucky Bingo account during the promotional offer. Join the 90 Ball Big Money Room. The Chat moderator will ask fun questions and a random player who has answered all the question correctly will be chosen as the winner. If you win, the bonus funds will be automatically added to your account. Wagering Requirement Applicable on This Promotional Offer. A minimum wagering requirement of 4 times will be applicable on all the winnings from this promotional offer. The contribution of different games towards the wagering varies and should be checked before you start playing. This promotional offer is valid every week on Tuesday and Thursday between 7:30 pm and 8:30 pm in the 90 Ball Big Money Room. The maximum amount that will be given to the players with this promotion is £20. The bonus funds will be equally split among all the winners. Bonus, if not claimed, will expire within 2 weeks of being available. The game will be void if there are less two players in the bingo room when the game is scheduled to start. Players can join a maximum of two chat games per day.